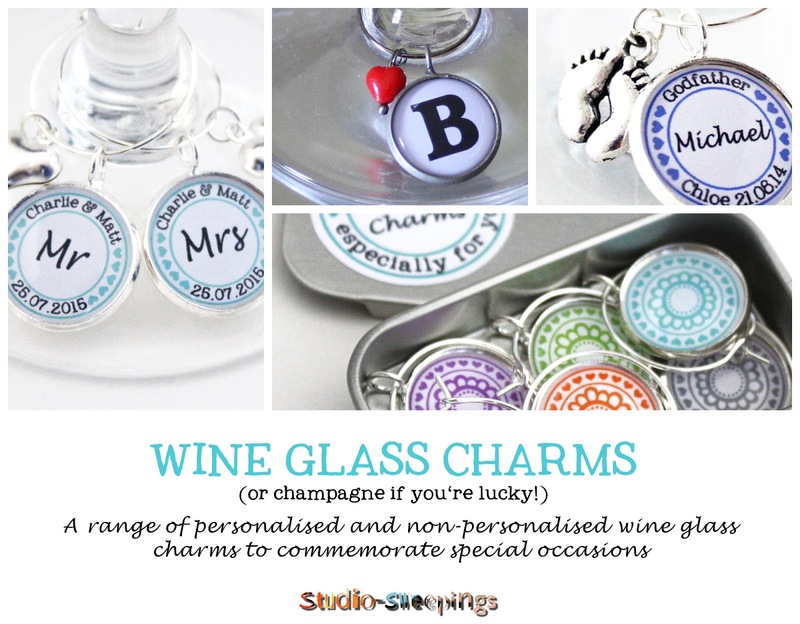 See my whole wine glass charm range at NOTHS (some examples above). Personalised options for Weddings, Christenings, Christmas - in fact any occasion you can think of. Perfect table dressing for parties & celebrations and a lovely little reminder of the event for guests to take home with them.